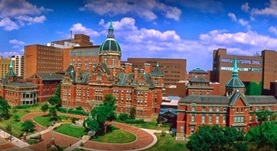 Dr. Hyunseok Kang graduated the medical school from the Seoul National University College of Medicine and completed his residency program at the Washington University. A fellowship followed at the University of Pittsburg Medical Center soon after that. He is specialized in pathology and board certified in clinical informatics, clinical pathology, and molecular genetic pathology. Dr. Kang has been in practice for more than 3 years and is affiliated with the John Hopkins Hospital. During his career, he has also contributed to 1 publication of medical interest. Dr. Hyunseok P. Kang has contributed to 1 publications. Kang, H. P., Yang, X., Chen, R., Zhang, B., Corona, E., Schadt, E. E., Butte, A. J.; Diabetologia. 2012 Aug.